O-neck, raglan long sleeve, contrast color patchwork. 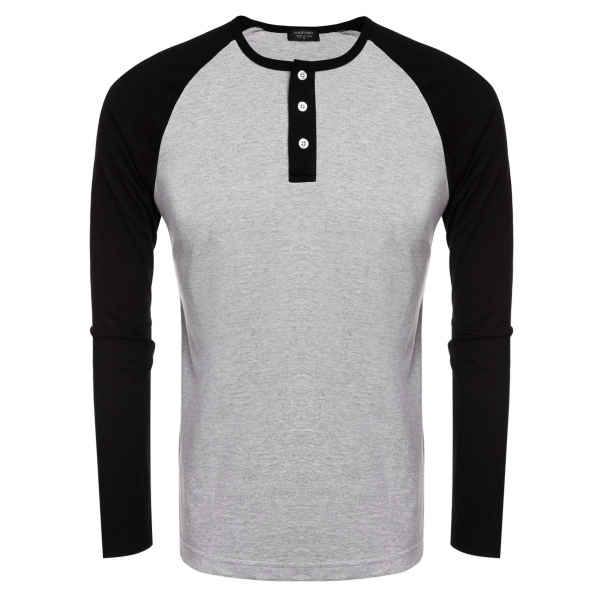 Soft and comfortable material, featuring 3 button closure in neckline. Garment Care: Hand-wash max 30℃, Normal Dry Clean. Fashion and slim fit, suitable for casual and sport wear.